Author’s Note: This story has been hidden under a dull title! I’m reposting it today. I stood barefoot, the water pushing my shins, one with the stream. Then I was alerted by the scrape of a window opening. Its slow slide was infected but I still didn’t expect the rush of arsenic from her voice. I registered the scream inside my body. We all did. We became statues, carrying her heavy poison. We looked up at her in the little window, squinting. Then we looked at each other, and back at her. She was in the house. Her face was violent. But the stream didn’t belong to her. We noted this quietly to each other. We continued our searching, but there was hesitance to our play. Without speaking to each other we left our sneakers on the grass and knew to walk a little further downstream. We stopped in front of her neighbor’s house. She couldn’t say anything to us here. I thought we were home-free but then somebody in our search party mimicked her and that’s when I felt afraid. We didn’t think she knew our mothers but I knew she went to our church. Even coming back from Communion her face was sometimes contorted with a soundless rage, perhaps her skull was hot, and I think she may have been a candidate for a pill of today but back then, we gathered our buckets and began a march downstream to get away from her. As the arsenic cloud lifted from our march, someone suggested going to Africa. We looked ahead of us. The houses would soon stop but the hills cupping our stream continued on. We could see the thickening. Together, we knew it was there. We kept going until the stream had long thin branches that draped over us, sheltering our march that had slowed from the water’s cool depth. I looked over to my little sister and the stream was up past her stomach, her elbows crooked in the air but she was smiling, so I smiled, too. Here, it was quiet, the breeze above us. We were nature’s guests. 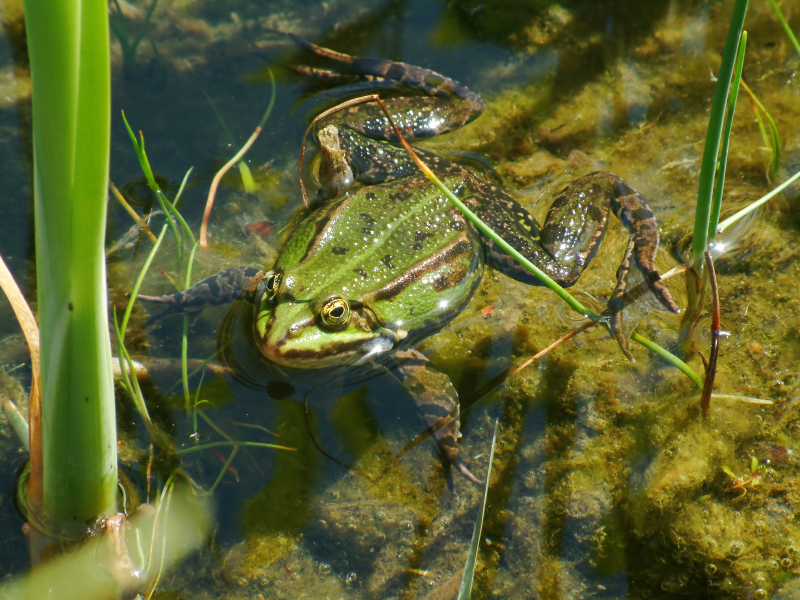 When we saw a large green frog on the bank, we knew we had made it. Epilogue: At a donut gathering in the church basement, the woman from the window approached my mother. I watched her talk. She was animated in an angry manner, using pointy facial angles and expressions. When my mother raised her eyebrows, a sign for her to cool it lady, I turned on my heels and took another bite of my donut.